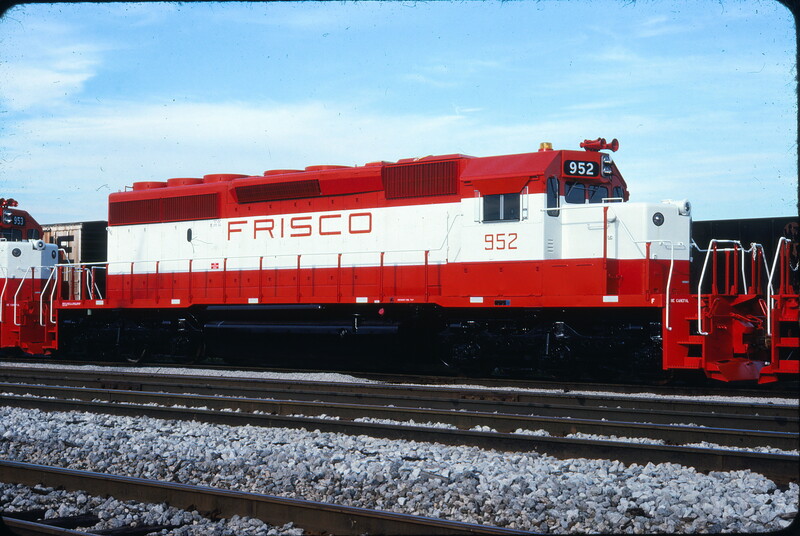 SD40-2 6847 (Frisco 957) at Thayer, Missouri on March 12, 1981 (R.R. Taylor). 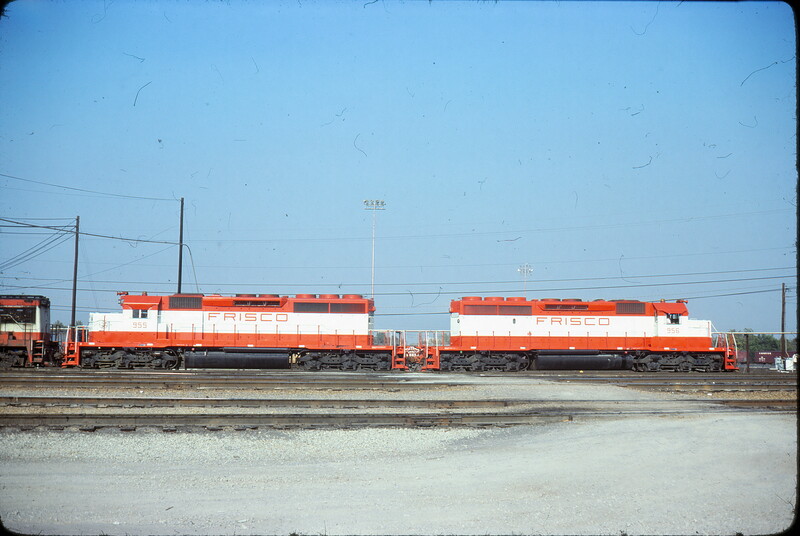 SD40-2s 955 and 956 at Memphis, Tennessee on November 2, 1978. 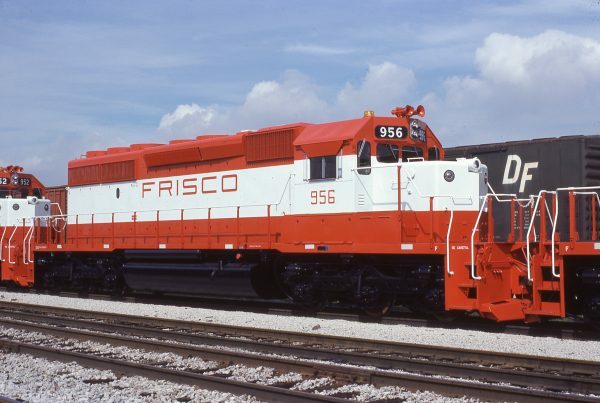 SD40-2 956 at Chicago, Illinois in July 1978 (J.W. Stubblefield). 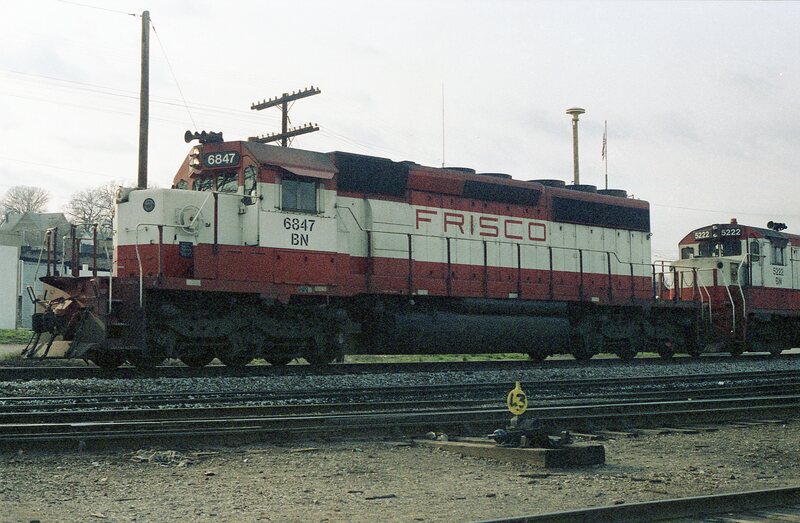 SD40-2 956 at Hazel Crest, Illinois on July 16, 1978. SD40-2 956 at St. Louis, Missouri on July 29, 1978. 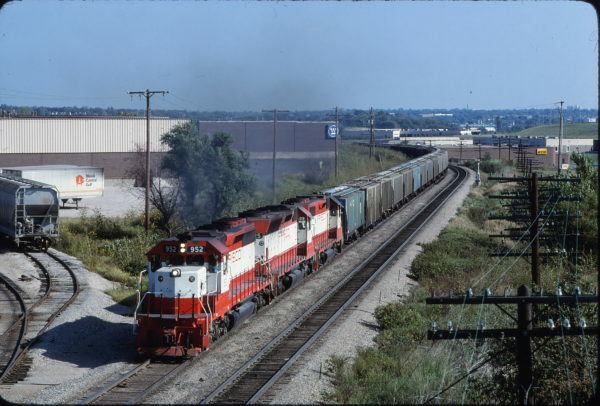 SD40-2 952 at Hazel Crest, Illinois on July 16, 1978. SD40-2 951 at East Hazel Crest, Illinois (ICG Yard) on July 16, 1978. 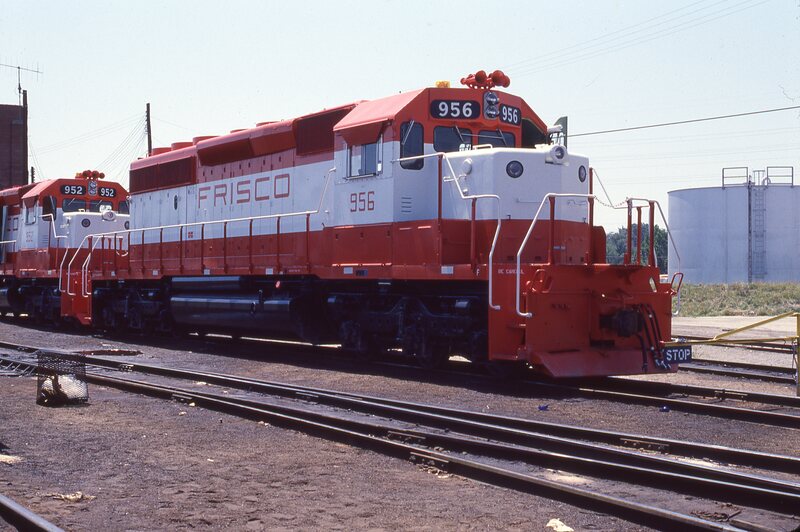 SD40-2 950 at East Hazel Crest, Illinois on July 17, 1978. 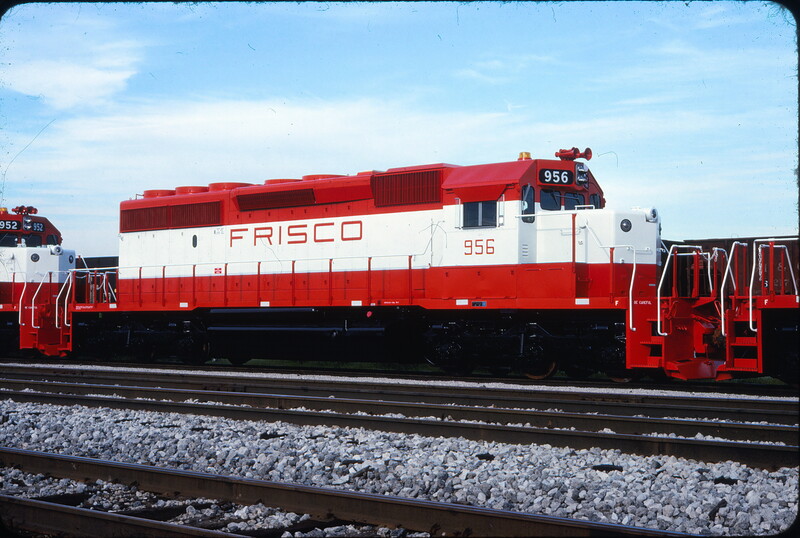 SD40-2 955 at East Hazel Crest, Illinois on July 16, 1978. SD40-2 952 at Lenexa, Kansas on September 21, 1980 (James Primm).